I’ve always been fascinated with choux pastry. The process of preparing it is simple (butter, water, flour and then the beating in of eggs) and yet the bang you get for your buck as they bake in the oven is tremendous as they puff and expand to twice they’re size. Whether they’re intended as a vessel for sweet or savory fillings, they are always impressive and always a star on a buffet table or a tantalizing tray. 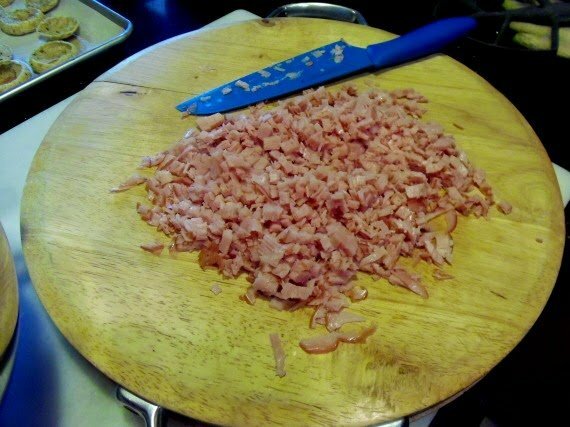 -In a medium saucepan, heat the water and butter until simmering. -Add the caraway seeds, garlic powder and salt. 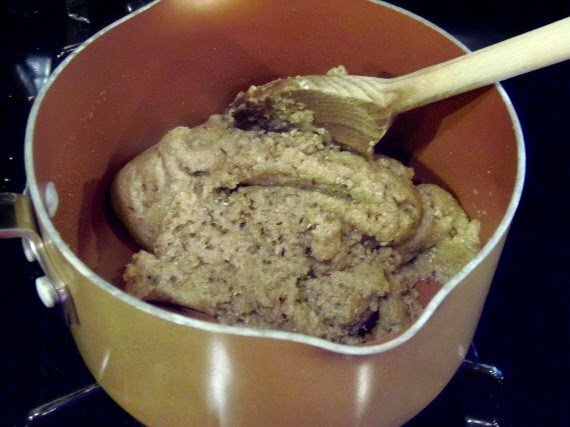 -Turn off the heat and using a wooden spoon, briskly stir in the flours until the mixture forms a ball. -Set aside to cool for about 5 minutes. 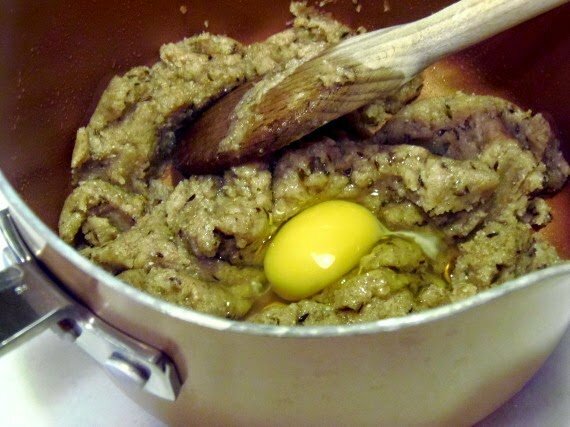 -Once the mixture has cooled, beat in the eggs, one at a time, until smooth. 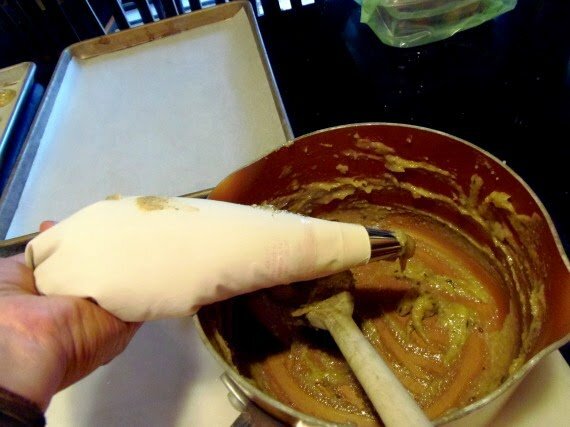 -Transfer the choux paste (dough) into a pastry bag that has been fitted with a large round pastry tip (Wilton 2A), or you can use two teaspoons, and pipe (or carefully drop) the choux paste onto 2 parchment lined baking sheets, leaving about 1″ – 1½” spacing between each puff. *Note – should you have any puffs with pointy tops, wet your finger and press them down lightly to prevent them from burning and to have them uniformly shaped. -Bake in a preheated oven for approximately 20 minutes, or until they’re completely puffed and lightly golden in color. 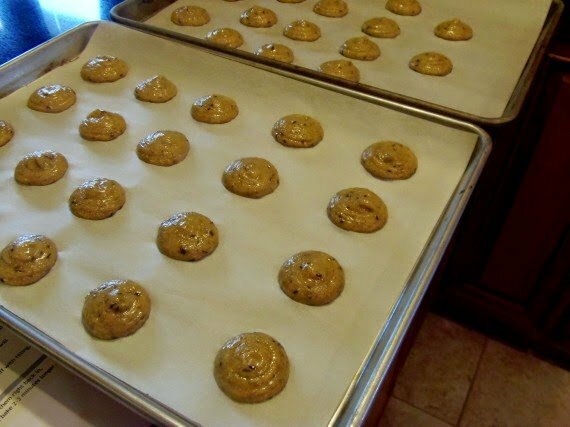 -Remove them from the oven and immediately pierce the side of each puff with a pairing knife to allow the steam to escape or else they’ll collapse. Allow the puffs to cool completely. -Using a serrated knife, gently cut the puffs in half and fill with your choice of filling. 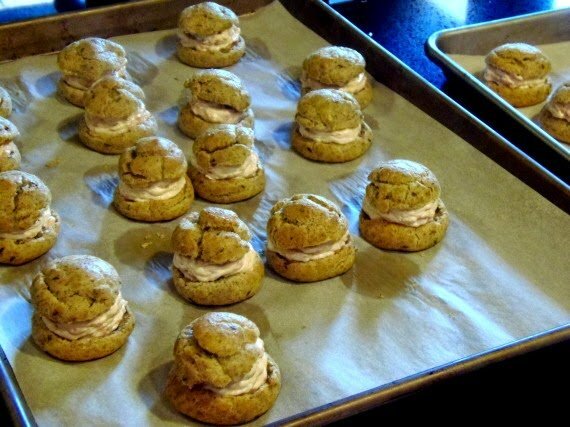 -Once filled, place the tops back onto the filled puffs and refrigerate until ready to serve. 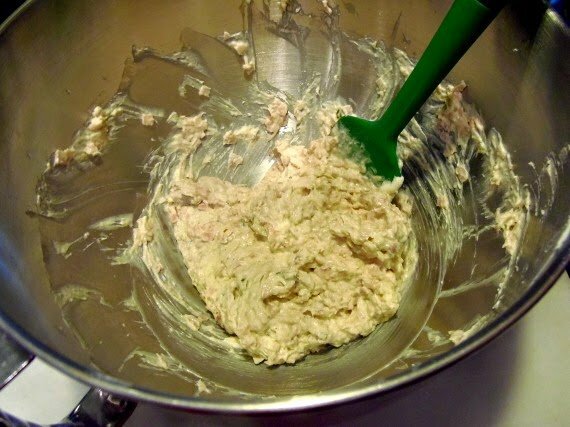 -In a large bowl with a hand mixer or the bowl of a stand mixer fitted with the paddle attachment, cream together all 6 ingredients until relatively smooth and creamy. 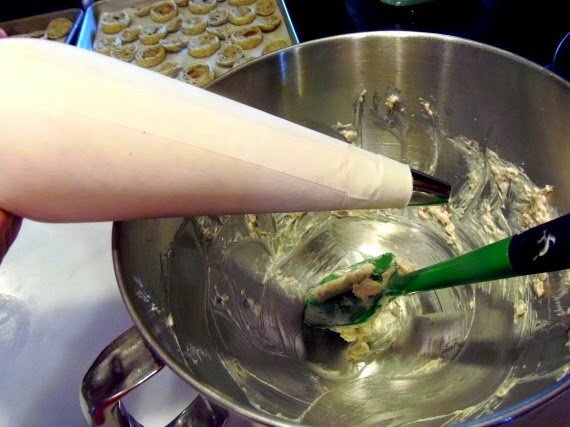 -Place the mixture into a pastry bag that has been fitted with the 2A pastry tip (or you can use two teaspoons) and carefully fill the bottom half of each puff with a nice big dollop of the filling. 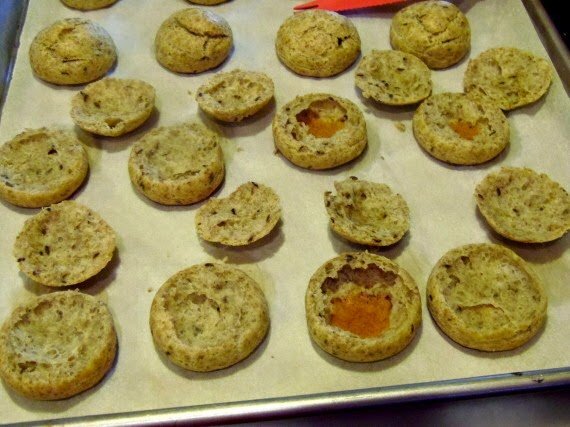 -Place the top onto the filled puff and refrigerate until ready to serve. 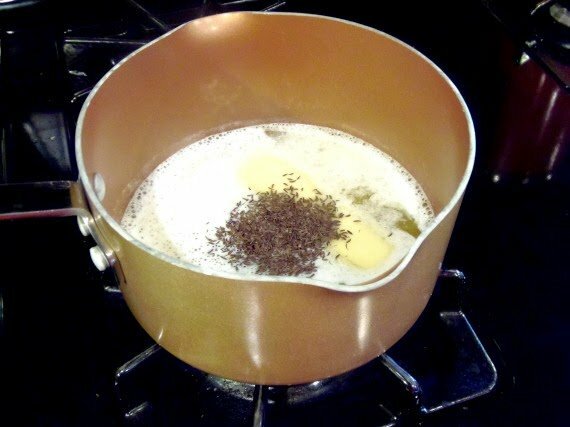 Bring the water, butter, caraway and garlic powder to a simmer on the stove top. 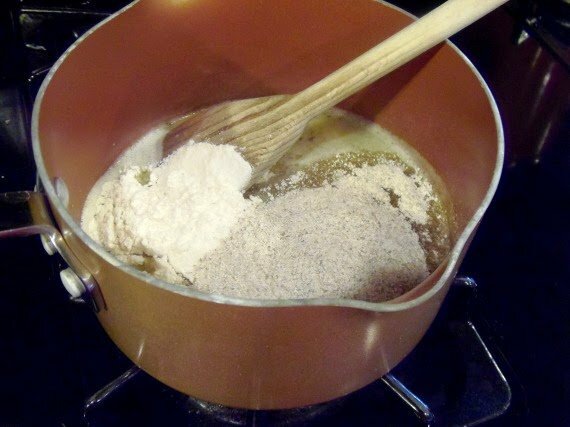 Use a wooden spoon to quickly incorporate the flours and form a ball. 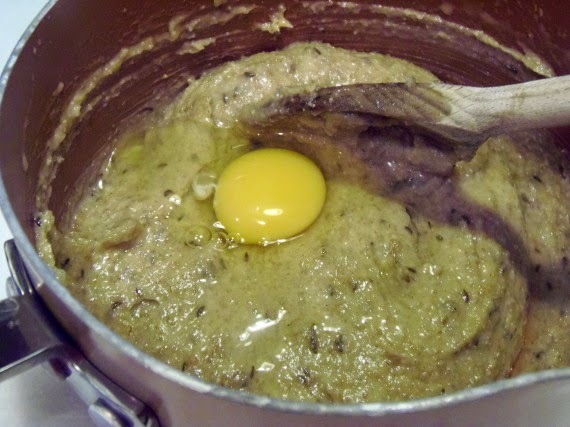 Once the choux paste has cooled for about 5 minutes, beat in the eggs, one at a time to form until smooth. 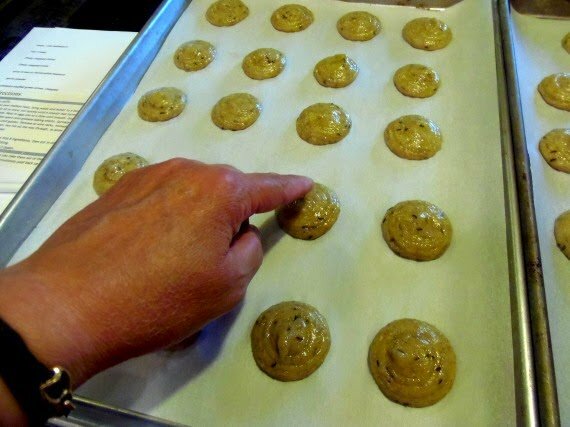 Fill a piping bag with the choux paste mixture (or use two teaspoons) and pipe (or drop) about 1½” dollops of dough onto parchment lined baking sheets. Use a wet finger to press down any pointy tips you may have before baking to prevent burning and create uniformly shaped puffs. Bake until they’re puffed and golden. Remove from the oven and immediately pierce the side of each puff with a paring knife to allow the steam to escape so the puffs don’t collapse. Once completely cooled, use a serrated knife to gently cut the puffs in half so they’re ready to be filled. 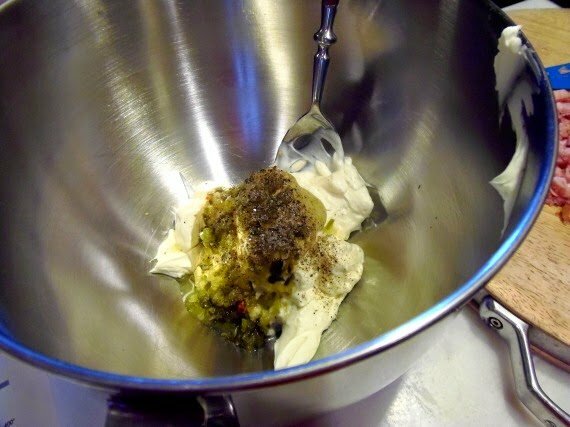 Mix all the ingredients for the filling together until smooth and relatively creamy. Fill a pastry bag with ham and cream cheese mixture (or use two teaspoons) and fill each puff bottom with a nice, big dollop of the filling. Place the top back on each puff and refrigerate until ready to serve. Thank you so much for hosting this fun event, Connie of The Foodie Army Wife! Oh my goodness, Tupperware parties. That sure did bring back some memories. I think I would have enjoyed them a whole lot more had these tasty puffs been served. Yum! 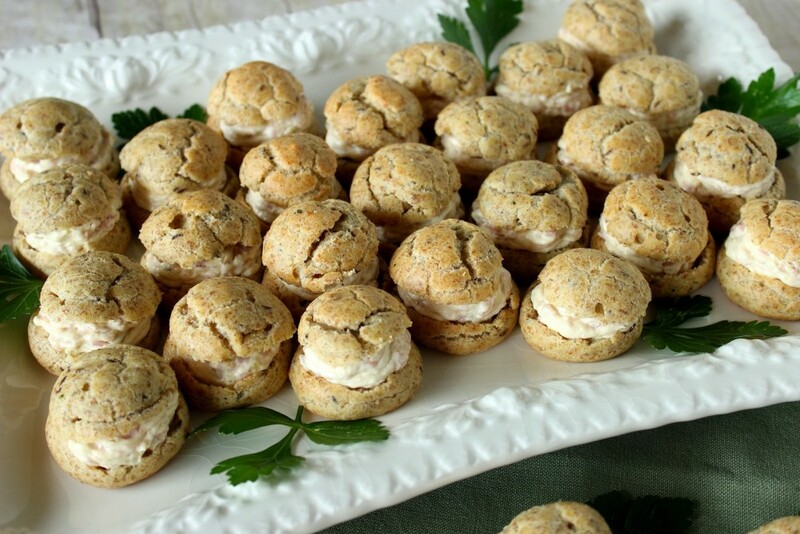 I'm a huge fan of cream puffs and often make gougeres for a party. I love your twist with the rye flour and delectable filling! I have rye flour to use up. Printing this! Haha Tupperware…..ya I am dating myself as well. I think my Mom sold it for a while. These little puffs? Wow I need them ASAP! 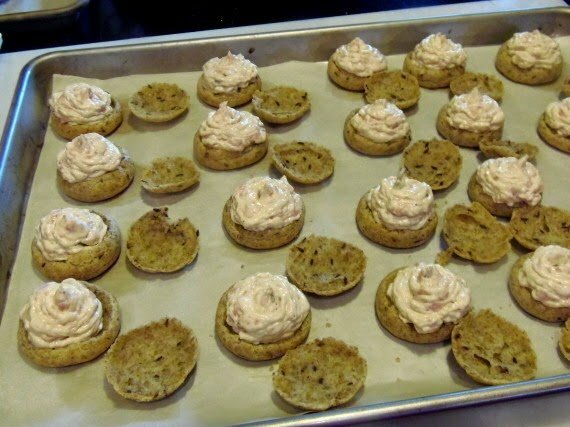 My hubby loves rye, so he would love these, And the reuben puff idea sounds amazing! Did some cleaning and re-organizing recently and came across the big round sectional Tupperware container for fruits and veggies. Forgot I had it and don't even know how old it is. It would look great filled with these lovely appetizers! Your puffs look light and airy and that dip sounds like it would be a party fav. These look like sandwich cookies at first glance haha. Great little appetizers! I never tried different flour for puffs. These sound amazing! Gorgeous! I can't get over how lovely these would look on a platter–I love that you've shared this. Have a fantastic week! These are beautiful, Renee – I'd have a hard time staying away from this tray. 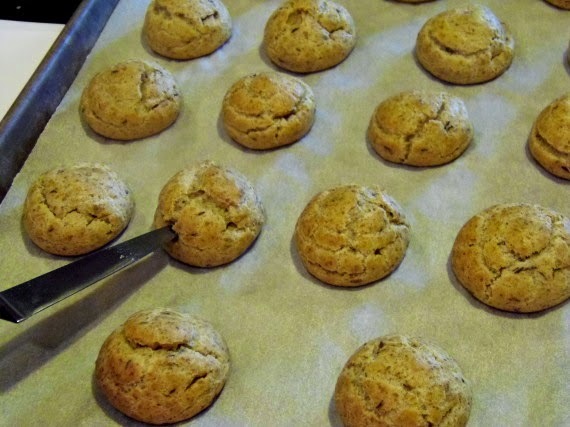 I love that you used rye in choux…I totally want to try that. 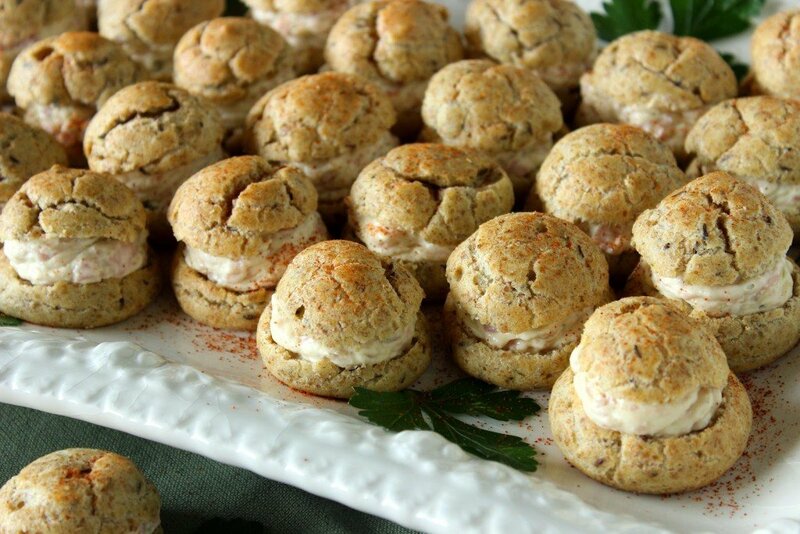 A savory cream puff is a perfect little appetizer! I know what I'll be making for game day! What a perfect appetizer, love it! Oh, man! Those look great! 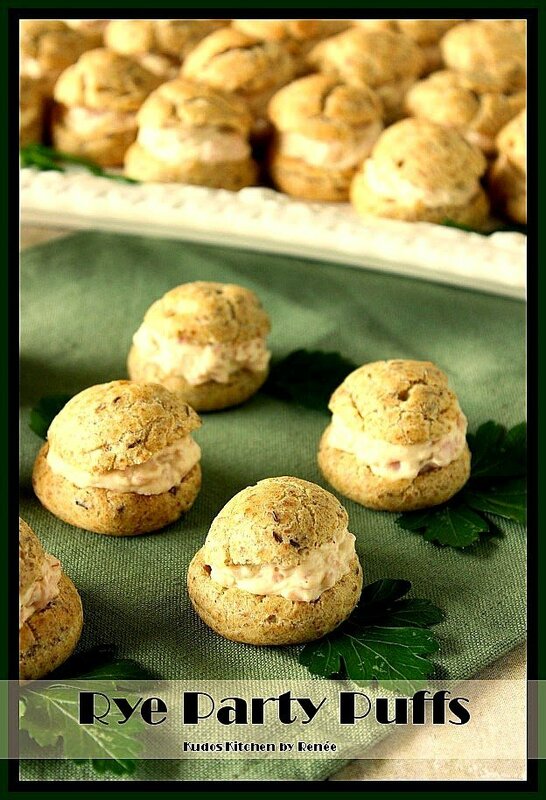 Savory Choux sounds just lovely and I really like the idea of some corned beef in there! Wow this is a really different appetizer idea than what I usually see floating around. Sounds great. I've actually always wanted to make this but haven't had the courage to do so. You definitely make it look so easy. What a great party appetizer. Renee, I would block a certain person. Even though you are my sis in law, I know you to be honest and very creative in the kitchen. A true artist with both the paint brush and in the kitchen. Somebody is envious and you don't need to deal with that. 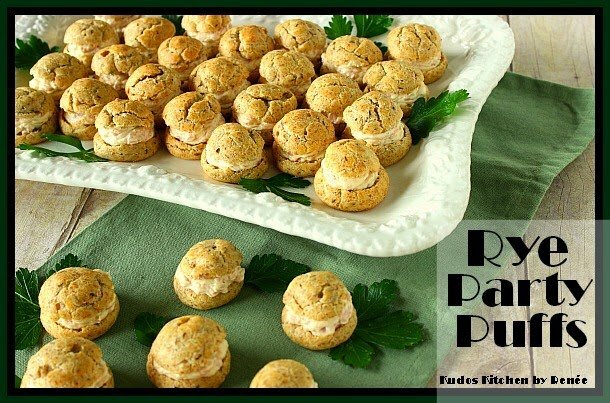 I think you should change the name to "RENEE'S Rye Party Puffs." Sorry that Kathy is practicing her primal scream therapy in your comments. HaHaHa! I wish I would have thought of that earlier, Dawn. Who knew I'd have to protect myself in such a way by developing my own simple recipe. Guess I've learned a valuable lesson over this.